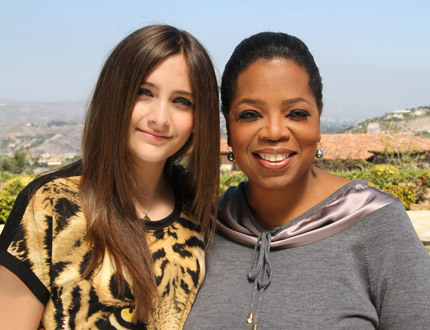 In a clip from Oprah’s upcoming interview with Michael Jackson’s daughter Paris she says it was weird to her when he made them wear masks when going out. But now Paris realizes what her father was doing, because when the kids would go out alone no one would recognize them. The full episode airs this Sunday at 9/8c on OWN. This entry was posted in Entertainment News and tagged interview, mask, Michael Jackson's daughter, O, Oprah Winfrey, Oprah's Next Chapter, OWN, Paris Jackson. Bookmark the permalink.